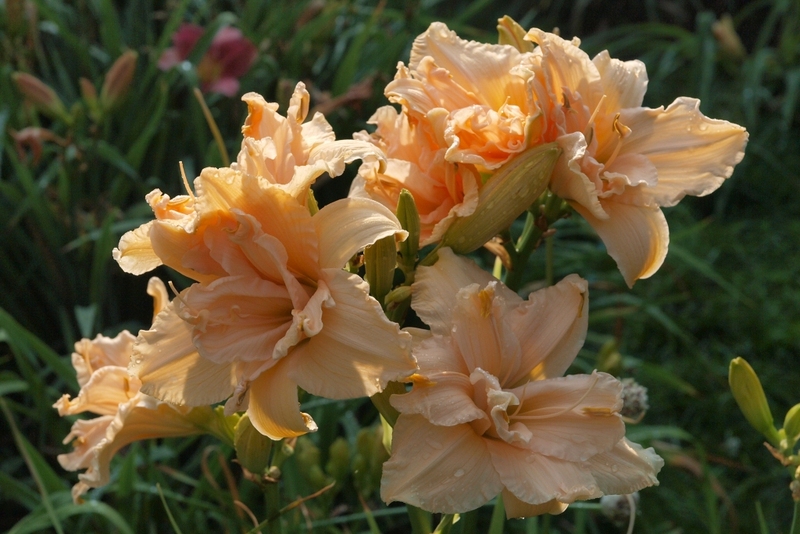 Bred by Enman Joiner who was one of the masters of double breeding, Scatterbrain is one incredible daylily. 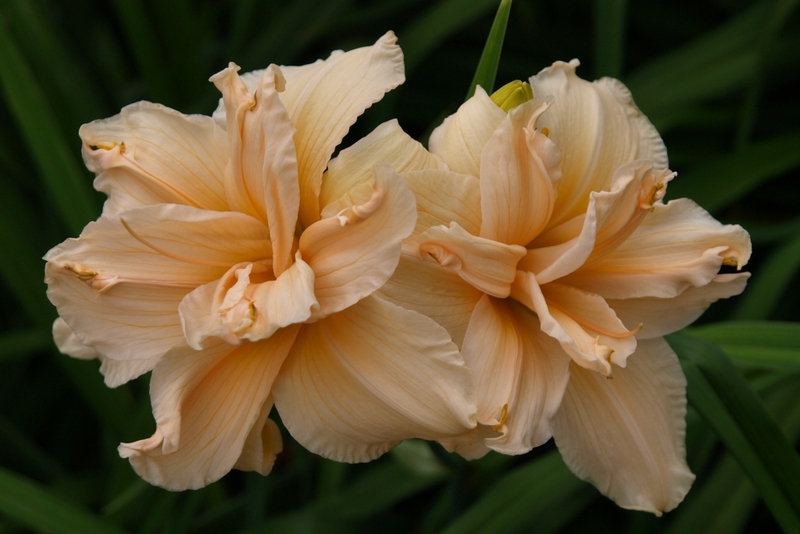 Always fully double, every bloom is just a little different and unpredictable as the name itself indicates. Absolutely first choice. An early morning (backlit) photo of a clump of Scatterbrain with at least 7 blooms open.